Seat's 191 offers are available now. Finance at 1.9 per cent is now available on the new Ateca SUV and the Arona Crossover SUV. And Seat adds that a 1.9 per cent rate is available on the Leon and the new Ibiza. Seat also has scrappage offers. As part of its 191 campaign, customers can get €5,000 scrappage on the Leon range, €3,000 on the Ateca, €2,000 on the Ibiza, and €1,000 on the Arona. In addition, Seat says it is offering a three-year service plan for just €299 to all customers. It adds there is also a host of savings to be had on state-of-the-art product packs, such as €531 on the Ateca SE product pack, which now comes in at €500. It also claims there is more than €1,825 savings on the Leon SE product pack, now available for €500; and more than €395 saving on the Ibiza SE product pack, costing €300. 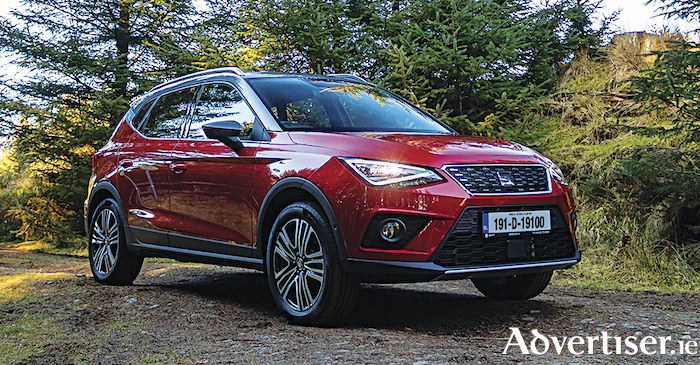 Niall Phillips, brand director at Seat Ireland, says: “We have enjoyed a hugely successful 2018 to date with a record high market share of 3 per cent. This is a really exciting time for the brand in Ireland and our 191 campaign offers Irish motorists exceptional value across our range.